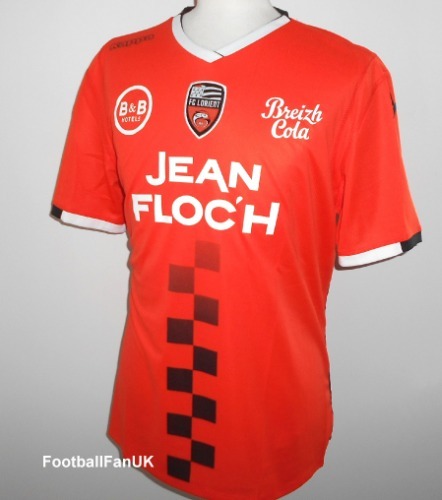 This is an official Kappa short sleeve football shirt of FC Lorient, used by the club as their home shirt for the 2018/19 Ligue 2 season. New with tags in Kappa packaging. - 'Les Merlus' printing at back of neck. - Orange with black and white trim. - Sponsors logos on front of shirt. - Made from 100% washable polyester. - Adult size XL. Chest 46", length 30".